Last week while I was out walking my dog, I was listening to the Jay Today podcast, and one of the episodes that really stood out for me was Episode 80. In this episode, Jay talks about Dark Social and how social will never get the credit it deserves. He gave a great example about how he was a social referral to a travel bag manufacturer’s website, but instead of making the purchase himself, he emailed the link to his wife who ended up purchasing the bag for him as a gift. If the bag manufacturer were to look at that transaction in Google Analytics, it would have shown up as a direct conversion, leaving no credit to social. Boo! The Dark Social phenomenon makes it really hard to show the value that social media adds to a business, which makes it frustrating when trying to report on ROI. That’s when you end up with crusty clients saying, “Social media is a waste of time, too much money, blah blah blah.” Honestly, I want to shake people when they say things like that. WAKE UP! Jay’s podcast got me thinking of another area where social media doesn’t get enough credit: the organic traffic that comes to a website as the result of an initial social referral. Here’s an example of what I mean. Say someone clicked on one of your Facebook Ads, they go to your site, they’re interested, but they want to learn more. So the next day, they do a Google search with your brand’s name or a related keyword and come back to your site. I know that when I find out about a new company or community that I’m interested in, I’ll Google the snot out of them, and there are definitely more people like me that do the same thing. We’re the hyper-engaged users who are also most likely to convert. This is the audience you want to segment. This segment includes anyone who initially entered your website, and then came back through organic search. Next, you want to setup a baseline to compare with only your initial social referrals included (click here to add to your view). Now you can compare these two segments in Acquisition > Channels. Unfortunately, since this is a filter based off of users, Google Analytics will only let you go back 93 days, so you definitely want to archive your analysis. In this example, I’m using my yo-yo company CLYW—we’re quite active on social and run a lot of Facebook Ads. The spikes you’re seeing at the beginning of November and January coincide with product releases. Also notice how the number of visits slightly increased mid-January compared to December—that’s when we started promoting more video posts on Facebook to a wider audience. You can also look into location, landing page, device, etc. 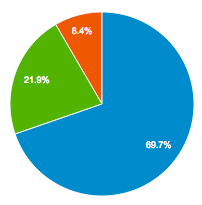 I was able to find that the organic traffic for this segmented audience was predominantly desktop at 70%, with only 22% mobile. 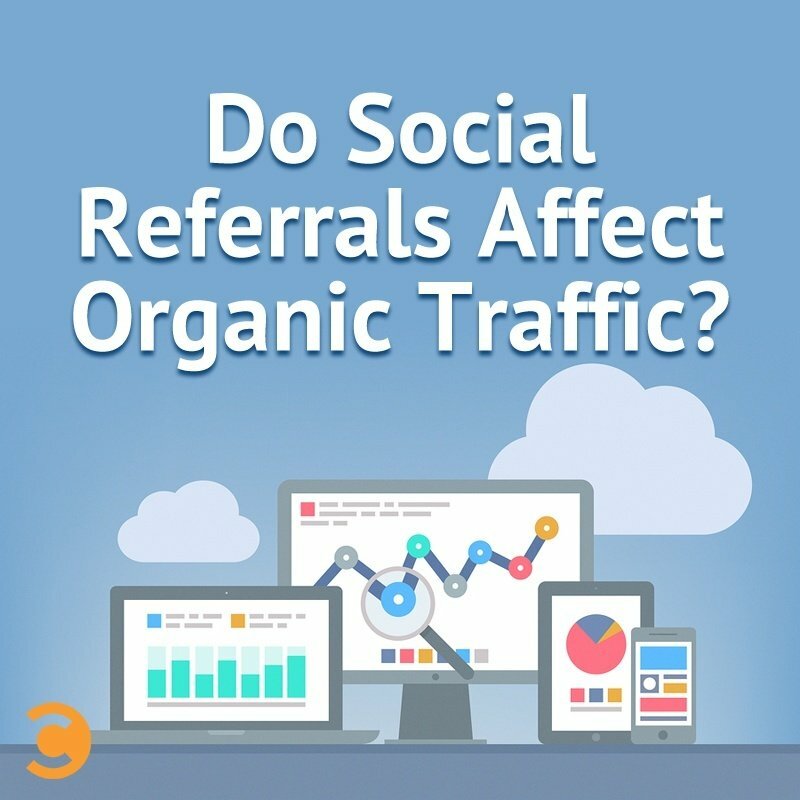 It’s interesting, considering 45% of initial social referrals come from mobile. Another great tool that you can use to dig into this segmented audience is Heap Analytics. Heap allows you to track every action a visitor makes on your site without having to add a piece of code to every single event that you want to track. All you have to do is place one script into your <head> tag, and you’re set! 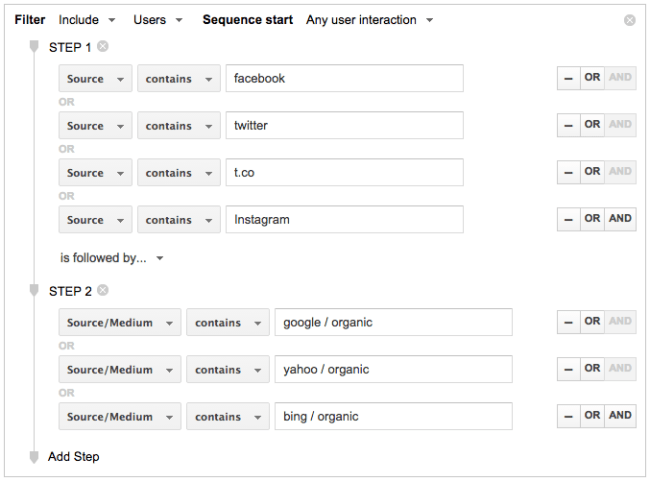 Heap also tracks page visits per user, user location, device, platform, referral source, and more. With Heap, you can build the same type of segment as you would in Google Analytics. The advantage with Heap is that you can filter down even more by actions or visits to specific pages (cart page, thank-you page, etc.). You can even drill down further into every action a single user made. This type of analysis can be quite valuable to community building and management. You can show exactly how you’re adding value to the business and growing your fan base through your community building efforts. If more new users are coming back to your site through other channels, then you’re doing things right. Set a benchmark and track your performance each month. You might realize that you’re not sharing enough links on social, or your website or strategy isn’t as welcoming to new users. TL:DR—So Why is This Useful? Thanks for reading! I hope that you found this info helpful and I look forward to sharing more social media tips, tricks, and tools with you in the future. Chris Mikulin is the owner of CLYW, a high-end yo-yo company in Edmonton, Alberta, Canada. Chris turned his hobby in yo-yoing into one of the top yo-yo brands in the industry through a focus on community building, a strong social presence, and innovative product development.